 SEMCO is an Energy Management Company. We help businesses save energy and reduce utility costs by providing turnkey energy efficient solutions, renewable energy systems, and utility bill consultations. Whether it’s one facility, a region, or the entire country, we help customers roll out systemized upgrades that enable them to take advantage of best practices and the latest technologies. We design and develop custom solutions that minimize risk and maximize value, and are optimized for each facility, its uses, and users. Also, we make these energy solutions feasible by helping customers take advantage of all potential financial incentives. 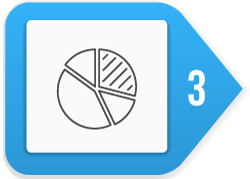 On average, the incentives obtained cover 30-40% of our solution’s costs. Determine if projects will include asset renewal planning, are strictly payback-driven, or both. Preliminary evaluation of sites to determine facilities with the highest energy costs and best incentive candidates. Set project paybacks goals and determine what a successful project will look like. Collect 12 months of utility bills. Interviews with site personnel and site walkthroughs for data collection. Present preliminary costs, savings, incentives and payback projection for all projects. 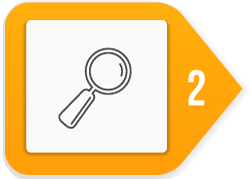 Investment grade audits performed on the selected projects. Two weeks of metering data will be required on some measures. A final proposal is presented with firm project costs, savings, and incentive estimates. All projects are installed turnkey around your operating schedule. Projects will be measured and verified.  On average, 20% – 40% of our project costs are covered with incentives. Over the years our team has become proficient in taking advantage of all incentive opportunities to minimize the needed capital expenditure from our customers and maximize ROI. Our team has an entire division dedicated to sourcing all available utility incentive programs including rebates and finance options, state incentives and financing programs as well as federal tax deductions and grants. Each building and application will offer its own unique incentive opportunities, which we will apply for and secure in-house. One benefit of implementing energy efficiency projects is that you are already paying for them through higher utility bills. 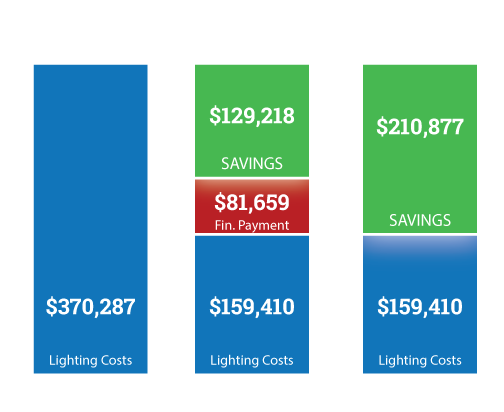 SEMCO offers a wide array of financing options to help your company shift dollars away from your utility budget to create cash flow positive solutions from day one. Energy efficiency financing is a low-risk investment with big rewards and can be structured in several ways, each offering their own unique benefits. A traditional loan from a bank is also an option. This can often time be paired with state subsidy programs, such as AlabamaSAVES to reduce the effective interest rate on the loan. It’s also the structure most likely to provide the lowest interest rate. 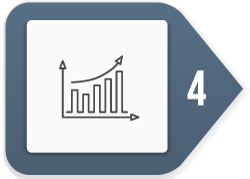 Efficiency-as-a-service is performance-based and is a completely off-balance sheet financing method. ESAs allows businesses to begin energy savings projects without any upfront capital costs. The financing lender pays for planning, implementation, and ongoing maintenance costs. After the project is complete and online, the client pays for the service based on the actual energy savings and other equipment and energy performance goals. 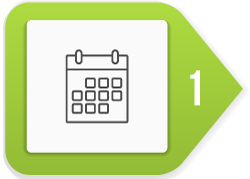 ESAs allow SEMCO to offer customers a cashflow positive solution from day one. Off-balance sheet, no use of credit, most projects include any ongoing maintenance costs. Many states offer some form of low-interest capital through state programs. The goal of these programs is to help companies lower operating costs to become healthier and more profitable entities. Jim has over 50 years’ experience in construction and marketing businesses and has been building successful companies since the 1970s. Kristi grew up in the lighting business as her father owned a lighting agency representing many of the industries top companies. Stop wasting money on energy! Sign-up for a free energy audit today!